When it comes to sizing uninterruptible power supplies there is often a disparity in approach between that of a UPS engineer and an electrical contractor. This is because the UPS engineer approaches sizing from the load point of view. The electrical contractor approaches the problem from further upstream and the distribution board and breaker sizes available. The two approaches use formulae based on Ohm’s Law and both are relevant. It is just as important to consider the load size the UPS is to be supporting, as it is the upstream infrastructure that will support the UPS and the load. One thing to always remember is that all UPS operate at less than 100% efficiency and therefore must draw more power when operated at 100% to overcome system losses. This sizing will also have to include an additional allowance for the power drawn by the UPS system to charge a fully discharged battery and any initial switch-on ‘energisation’ charge required (as in some transformer-based UPS systems). 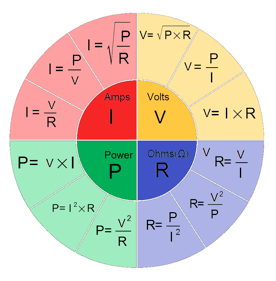 Again we can sum this figure to give a VA or kVA figure the UPS must be capable of supporting. We then add a growth factor of around 25% to allow for future expansion and also to build in some reserve capacity. It is never ideal to run any electrical system at a full 100% load. 80% is generally considered ideal. The above process gives a general rating for a UPS system but it can also be useful to accurately measure the figures. This can be done at a granular level with a clip-on meter. At EcoPowerSupplies we use an iMeter and recording device that we attach to each power cable to be protected by the UPS. We record the actual load in Amps and as a running and start-up current (where it is possible to reboot a specific piece of kit). This is a non-intrusive measurement service but care has to be taken to ensure that power cords/cables are not dislodged during connection/disconnection of the iMeter itself. Alternatively, an electrician from our electrical contracting team can use an RMS meter at the nearest distribution board. Using insulated probes or a clamp, our electrician can monitor the amps drawn on cables inside the board. This will give an overall value rather than the granular level provided by individual monitoring of specific IT loads. This level of measurement is most accurate when the distribution board has been properly configured with the ‘Ways’ and breakers correctly labelled to separate out critical, essential and non-essential loads. Once the total current draw has been measured, again we add in a growth factor and select an appropriately sized UPS. Whichever method is chosen to size a UPS it is important to review both the upstream and downstream connections. Upstream we have to consider power to the UPS and the supply from the nearest distribution board. The breaker(s) inside the distribution board must be suitably rated to power the UPS and of the correct type (short-circuit limit). In some instances we may have to install a larger breaker to supply the UPS or completely replace the distribution board with a larger one. The cable supplies to the UPS must also be suitably rated and take into account any specific volt drops. We also have to consider supply from the UPS to the loads and whether a maintenance bypass is installed. For small UPS with sockets this is not a problem. For larger UPS with hardwired connections a sub-distribution board will have to be powered by the output of the UPS. Power Distribution Units (PDUs) are then supplied by the board for the local loads to connect to. It is here that the section of the Power Continuity Plan Audit covering the load plugs and socket connections (number, male/female, type) come into play. PDUs have to be configured with a suitable array and selection of socket/plug types for the loads. Sizing UPS systems is a relatively straightforward process. At EcoPowerSupplies we provide a free site survey for new UPS and generator installations.